Herman the bear and Henry the raccoon are best friends. But Henry's moving far, far away! So what do they do? Promise to write each other all the time and stay best friends forever, that's what. But being pen-pals is easier said than done, especially when your best friend seems to be having way more fun than you are. . . . 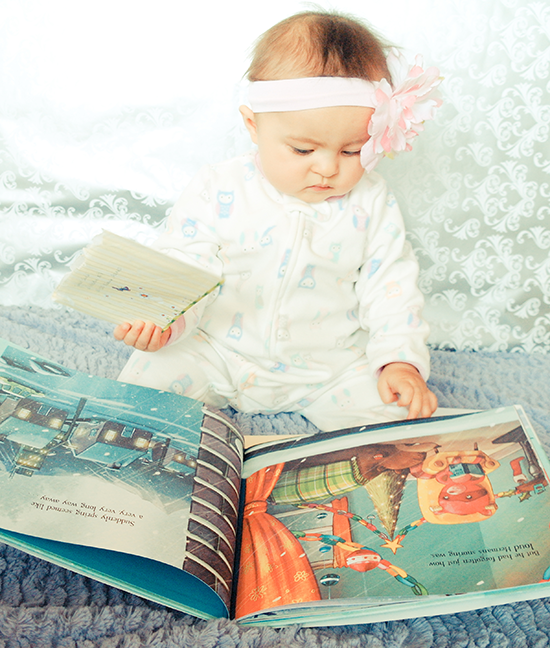 Filled with interactive lift-the-flaps and great read-aloud potential, this heartwarming friendship story is an ideal pick for a cold night's story-time. 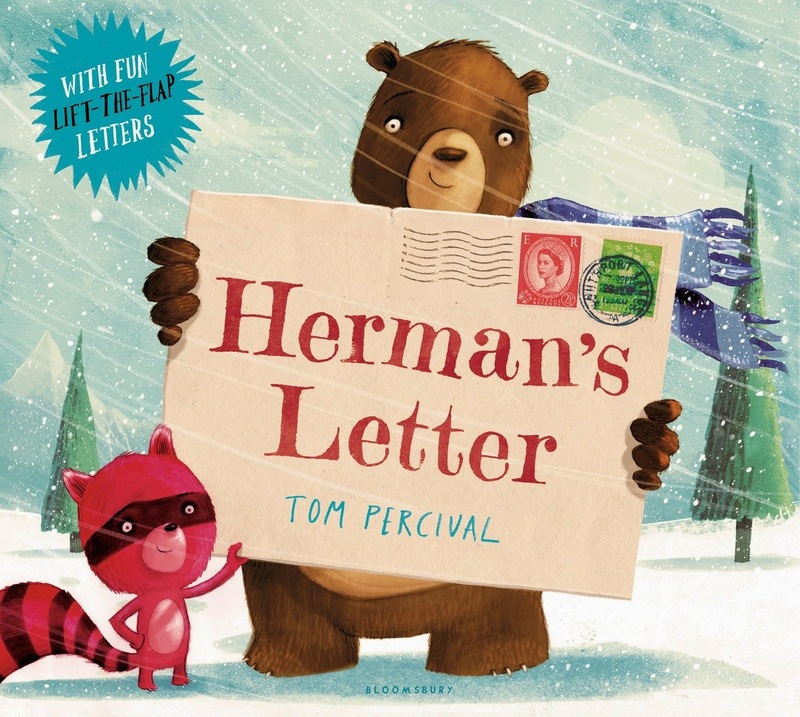 A moving and inspiring tale of unbreakable friendship and remarkable dedication, Herman's Letter is an absolute must-have on every little owl's bookshelf. Herman and Henry had been best friends since they learned how to walk - and possibly even before that. They grew up together, playing, exploring, inventing new games and secret handshakes. So when Henry had to move away, both of them were devastated. But they promised to keep in touch and write as often as possible, because that's what true friends do. Henry kept his promise - he wrote whenever he got a chance, talking about his new life, new friends, barbecues and perfect sunny weather. And he waited for Herman's reply. But Herman didn't really know what to write. His life without Henry wasn't exciting; every day was sad, lonely and filled with rain. And worst of all, he felt jealous and worried that Henry will soon forget about him. Until a letter arrived, in which Henry said: "I miss you so much! You're my best friend in the whole wide world!". It was finally time to write back! 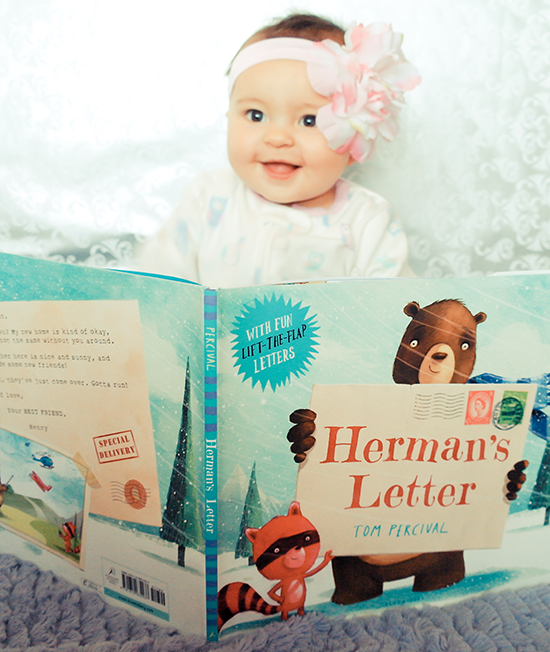 But what will Herman do when he discovers the post office is closed for winter? I just love the idea of pen-pals and writing actual letters to one another. I grew up exchanging letters with friends all across the world - it was a magical experience, I will always remember the excitement of opening the mailbox and finding a letter inside! Corresponding with friends via snail mail is not as easy as keeping in touch via Facebook or text messages, but it is certainly more meaningful and more fun, and I am glad that Tom Percival chose this (classic and requiring more effort) form of staying connected. I would really love for my child to experience this one day, too, as I believe handwritten letters to be really kind of magical. The detailed, pleasantly colored illustrations are what initially caught my eye, but it's the heartwarming tale - resonating, filled with good-natured humor and fun twists - that really won me over. 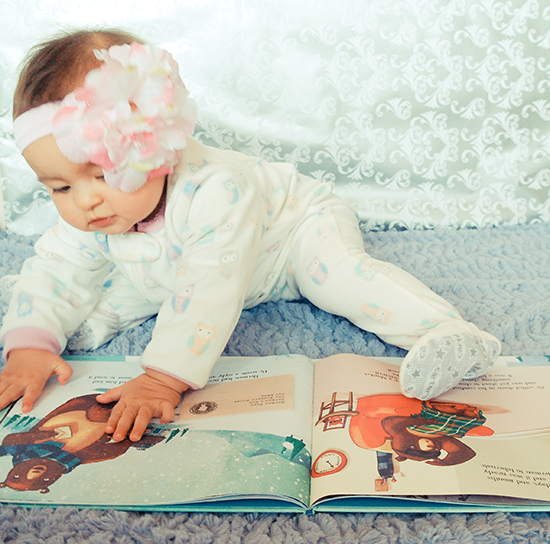 This is a story every child and parent will enjoy. It's full of meaning, it's hopeful, it's easy to relate to and very comforting. 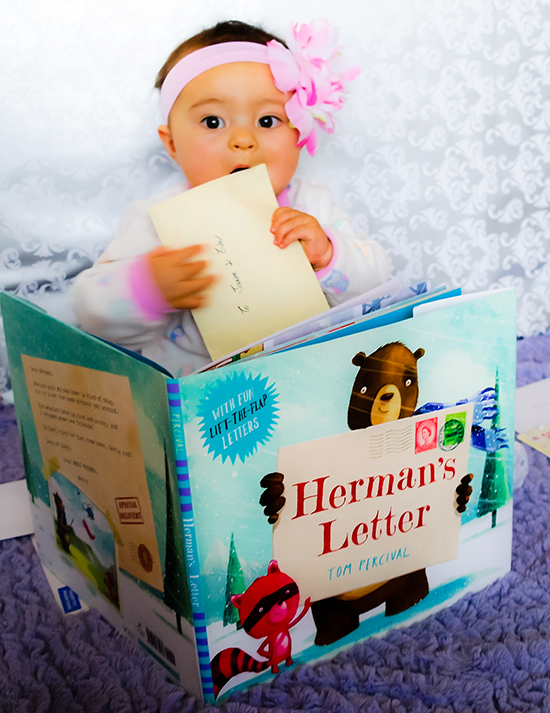 Plus the interactive content - actual letters included as fun lift-the-flaps - will help keep your child engaged in the story and eager to find out what happens next. 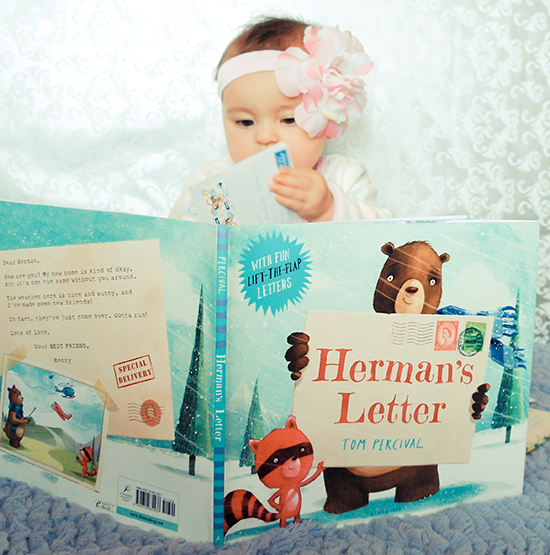 Herman's Letter is heartfelt and full of charm. In this book friends stay friends no matter the distance. They keep in touch, share stories, worry about one another, and while they might be occasionally feeling just a teeny tiny bit jealous or insecure, deep inside they know that their friendship is special and it'll last forever. And though there might be miles and miles of steep mountain terrain between them, nothing will stop them from dropping by for a friendly visit.